I made a tog illustration some time ago but didn't give it a proper thread submission. Here it is in its glory! 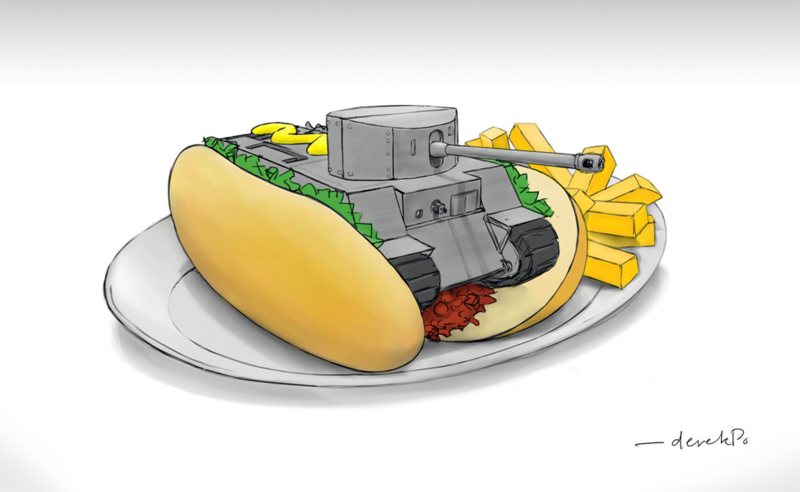 Waiter, this hot tog broke my teeth! Hey derek, that will be one rare burger at 04/05/2015. Better buy that one quickly or you won't get a chance to taste it! Grats to you too man! WOT Asia / Australasia Language Based Communities → English Speaking Community → Fan Zone! → Fan Artwork → (Fanart) Vive la France!